It was published by Publish America. The inspiration was from, not knowing my own father, before he passed away. I wanted to give my children a biography of some of my greatest adventures, while walking through this life. The book is written in poetic verse, segmented into short stories. Yes! Both books can be bought on line. The second book can also be purchased, which is a sequel of the first, called “Poetic Biography of an American BabyBoomer” My next book is due out in June of 2014, called “Secrets of the Egole’s Nest” a science-fiction, fantasy book series, edited by Holly Kothe. In December 2015' “An Egole’s Roar” the second book in the series will be available in all online book stores. All books will eventually be available in ebook and audio form. 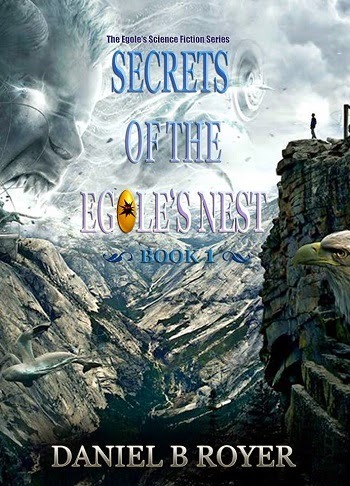 “Secrets of the Egole’s Nest” is a science fiction, fantasy, about a rebel child and his military father. They both face a universe filled with mystical masters, beasts and superhuman beings. Aben, the protagonist of the story, must adapt into a world of superpowers, while dealing with years of emotional neglect, after losing his loving mother. The characters are charismatic and entertaining for all ages. My book is like no other book, it goes beyond the realm of imagination. It delves into the intriguing world of sensory perception. It will engage the audience into worlds of adventure and drama. Blog Writer's Note to Author: Your book coming out in June of 2014' sounds really interesting, and I will definitely be checking it out. It sounds like you have a real passion for what you write, and in wanting to entertain readers. Good Luck to you, and thanks for the interview.